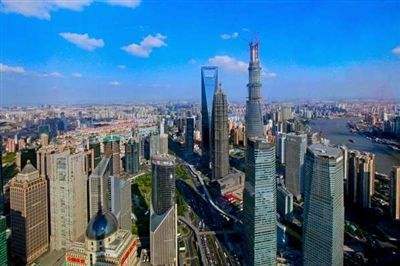 Shanghai will strive to become an investment and financing center of the Belt and Road Initiative by actively pushing forward reform and innovation of free trade zones (FTZs), said chief economist of the Shanghai Development and Reform Commission, Xinhua News Agency reported on March 27. If financial risks are controllable, the city will further improve its ability to serve the Belt and Road Initiative financially and build itself into a global financial service center with a focus on renminbi-denominated financial products, said the economist Qin Liping, at a seminar of Belt and Road Initiative financial services on March 27. By the end of 2017, Shanghai’s Cross-border Interbank Payment System (CIPS) had already attracted 508 indirect participators from 41 countries and regions. The second phase of the CIPS was launched in Shanghai on March 26 to promote the global use of the Chinese currency as well as the Belt and Road Initiative itself. Financial integration is an important aspect of the Belt and Road Initiative. By the end of 2017, a total of 288.6 billion yuan worth of transactions between China and countries and regions along the Belt and Road have been handled via free trade accounts. Shanghai is actively taking measures to draw more financial institutions to join the construction of the Belt and Road, and strengthening financial ties with countries and regions along the Belt and Road, said Li Jun, deputy head of the Shanghai Municipal Financial Services Office. The city will also build a reserve warehouse for major Belt and Road projects, and establish a global risk management platform to involve more parties into managing risks for Belt and Road projects, said Zhong Gang, President of China Development Bank (CDB) Shanghai Branch. This year, Shanghai will extend the range applicable entities for free trade accounts to more enterprises in need, including entity companies involved in the construction of the Belt and Road as well as companies with demand for international settlements and financing.